As Provo residents anxiously await the open house and dedication of the new Provo Temple of The Church of Jesus Christ of Latter-day Saints on the corner of 100 South and University Avenue, the construction project itself has become a tourist attraction. 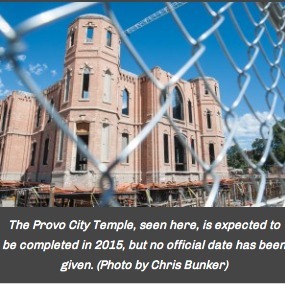 Crews are working furiously to bring back the historic feel and design of the former Provo Tabernacle. The task hasn’t been so easy.